» PC Reviews » CybertronPC Palladium Gaming Desktop Review, Which Model Is Worth It? 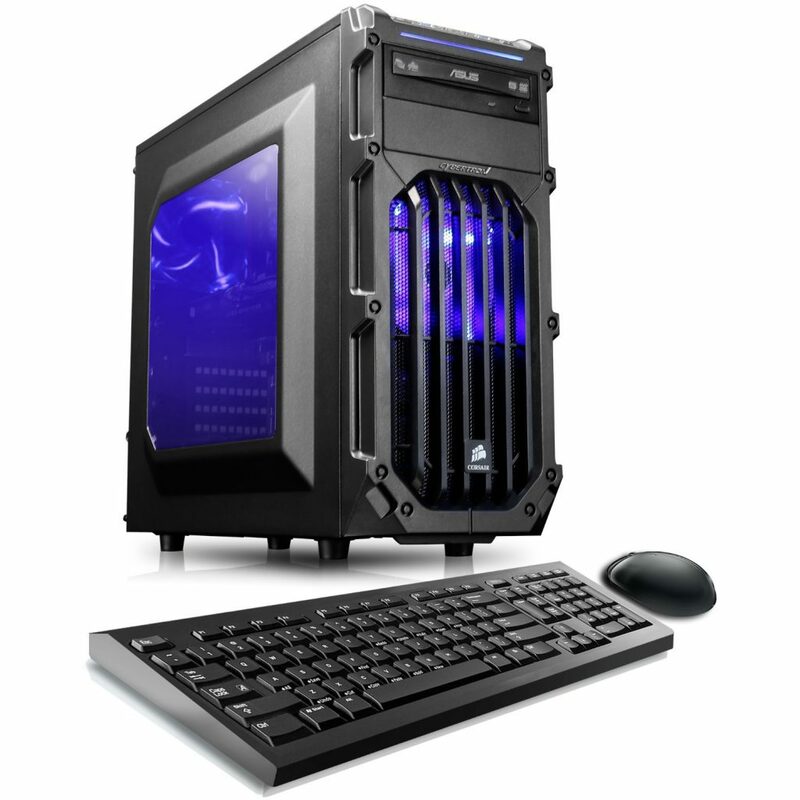 CybertronPC Palladium Gaming Desktop Review, Which Model Is Worth It? It’s time to review the CybertronPC Palladium gaming desktop because it has some of the newer hardware within, but which model is worth getting the most? There are four different models to choose from when looking at the Palladium and I’d like to get into the details as to which one is the best pick when looking at the “best bang for your buck” option. The first model I’d like to elaborate on is the Palladium 950Z. This PC comes with an i7-6700k for the processor, a 2GB GTX 950 for the video card, 16GB of DDR4 RAM, a 1TB/8GB solid state hybrid hard drive and a 500 watt power supply. Everything is solid with this PC except for the choice of video card. I’m not sure why anyone or any company would think that combining a GTX 950 with a i7-6700k would be a good idea but that’s what this PC has to bring to the table. I would have much rather seen something like an i5-6600k combined with a much better, next generation graphics card. At the price point of $929.99 that would make a lot more sense to do, especially since the new graphics cards are being used on the other models. Maybe this specific line of PCs CybertronPC wanted to stick with the i7-6700k as the “kicker” behind these PCs but a processor like that isn’t really essential in order to have a high quality gaming experience. Sure, it’s an amazing processor and does a really great job but it’s almost overkill for today’s standard of gaming. That’s why I believe it would have been a much better move to go with the i5-6600k instead since it has more than enough power to handle all of today’s gaming demands. It would give more room for a much better graphics card. A 2GB GTX 950 is what I shared to pick up if you were doing a $500 PC build of your own a while ago. It has changed since the new hardware has come out at a fair price but that should tell you something right away. If this PC costs almost a grand and it uses a graphics card that suited a PC build on a $500 budget point then something isn’t right… You’re not getting your money’s worth at all with this model. The rest of the specs seem good though. From 16GB of DDR4 RAM to a 1TB/8GB solid state hybrid hard drive – the rest of it makes sense. But the most important parts are the graphics card and processor when you’re looking strictly at gaming. If they would have used 8GB of RAM instead of 16GB and used the i5-6600k they could have thrown in a much better graphics card for around the same price point. Only then would it have made a little bit of sense to pick this one up but since it doesn’t have those specific specs, I can’t recommend this model. For these next two models I figured it’d work best to include them both in the same section since they are extremely similar. The 970Z has an i7-6700 processor, a 3GB GTX 1060 graphics card, 16GB of DDR4 RAM, a 1TB HDD and a 600 watt power supply. The GTX-1060M model has the same exact specs except that it has a 6GB GTX 1060 graphics card instead of a 3GB one and it also has red lighting instead of blue. These specs are definitely better and they can make a lot more sense to use. However, doing a build of your own – with Windows and a keyboard/mouse included – you’d be able to save a bit of money. From looking at it there is about a $100 mark up for getting the GTX-1060M model versus doing a build of your own with the same exact specs. Another thing I want to point out is that a $1,000 PC build today would have better specs when looking at using it strictly for gaming. You could use a GTX 1070 – a much more powerful GPU than the 1060 – then you could use a different CPU that also has high level gaming performance. It really comes down to whether or not you’d want to do a build of your own to save yourself $100. That $100 could be used on a decent 1080p monitor or something else so it’s definitely something to consider. If you’d rather have it built for you then know that it’ll be built with quality in mind. 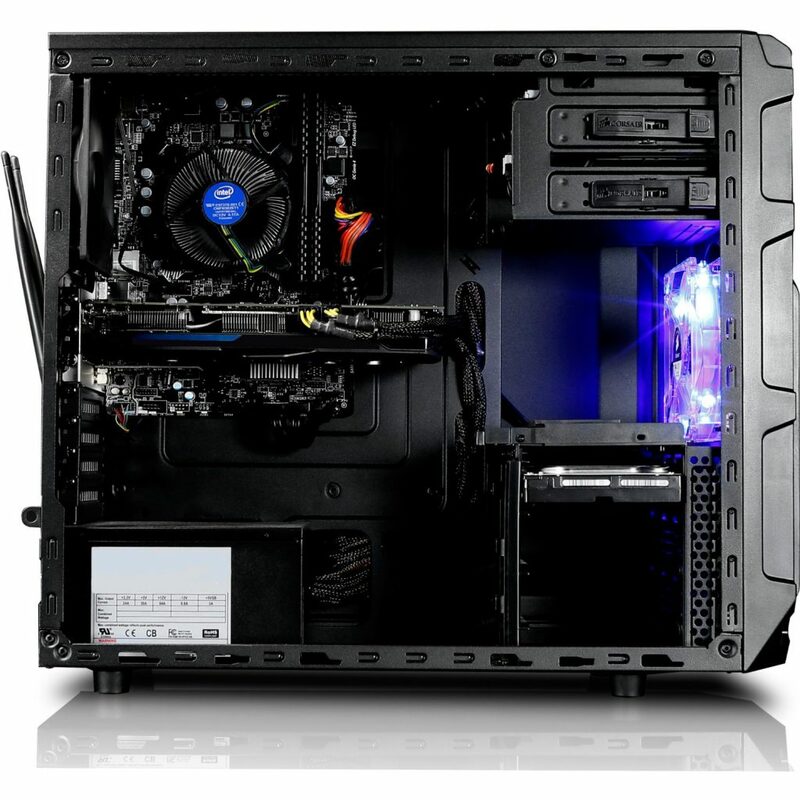 CybertronPC does an excellent job of putting PCs together and you can trust them to do an awesome job bringing you a PC that works right out of the box. If you’re curious about the difference between the 3GB and 6GB versions of the 1060 – it’ll depend on the games you play. Most of today’s games such as GTA V, The Division, Far Cry Primal or Overwatch don’t use more than 3GB of VRAM while playing and there will really only be a few frames per second difference meaning that it wouldn’t be anything significantly noticeable. But a game like Mirror’s Edge Catalyst uses a good amount more than 3GB on max settings so the 6GB version would benefit more from that. Also, higher VRAM on a graphics card = better performance on higher resolution monitors such as 1440p and it’s also better when looking at VR gaming. All in all, if you don’t mind the extra $100 spent, I could recommend these models to those looking for a pre-built solution. Go for the GTX-1060M model if you’re able, it’s only $50 more and it’ll have more benefits for 1440p and VR gaming. Now it’s time to look at the highest tier model for the Palladium – the 1070X. This model has the i7-6700 for the processor, an 8GB GTX 1070 video card, 16GB of DDR4 RAM, a 1TB HDD and a 600 watt power supply. The combination of the i7-6700 with a GTX 1070 is perfect. Both are the newest generation and combined they pack an extremely powerful punch. With that said, I’m not so certain that it’s completely worth the $1,399.99 price point. Reason being is because you can do a build of your own with the same exact specs for around $1,150. That’s a $250 mark up on the parts and $250 is a lot of money. There are some 1440p monitors on the market for that price. Sometimes higher priced pre-built PCs can make sense because the mark up isn’t anything super crazy. In this case you have to ask yourself how much $250 is worth to you because I can tell you that getting a PC built for you definitely does not cost $250. $50 is the most fair price point to get something built and sometimes I’ve seen charges up to $100 – but $250? That’s not really fair. It really isn’t that hard to build your own PC if you follow the right tutorial to get it done. When I built my first gaming PC I had no idea what I was doing at all, I just knew I wanted a PC that made sense for the amount I was spending. By getting this pre-built you’re guaranteed a super high quality experience and it’ll work right out of the box, it’s mainly suited for the highest quality of VR gaming but it’s going to work with anything you throw at it. Honestly the 1070 is even capable of 4K gaming and that is a world of its own. With all of that, I personally wouldn’t recommend this model mainly because of how much of a mark up there is. If you see value in getting a PC built for you for $250 then it’d be a really good PC to have but understand that it only takes a few hours to finish the process of doing a build of your own and as a result you’d save a whole lot of money. To sum all of this up – the GTX-1060M model is the one that makes the most sense to me. The 950Z is way too overpriced for having a GTX 950 installed and the 1070x has a $250 mark up. A $100 mark up isn’t too bad but I’ll reiterate what I said earlier – with $100 you could get a good 1080p monitor so that’s why doing a build of your own makes the most sense to me. If you click the link above you’ll be taken to a guide I have on this site for a build that costs a bit more than $900 but it has the performance level of the GTX-1060M model. If you’d rather go for these pre-built models then I strongly encourage you to check out the reviews over at Amazon because the reviews don’t lie and they’re definitely worth giving a read! So, do you plan on getting one of these pre-built models? Or do you plan on doing a build of your own to save more money? 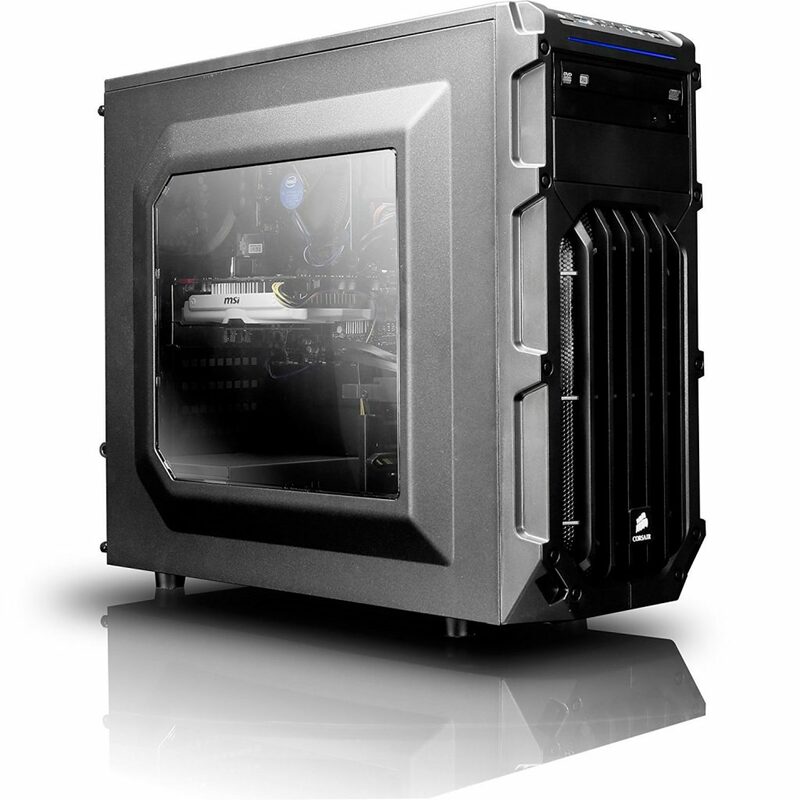 Tagged cybertronpc palladium, pre built gaming desktop. Bookmark the permalink.